NEW PRICE! BEAUTIFUL ESTATE POOL HOME IN GATED COMMUNITY ON ACRE LOT. Taylor Morrison Verona floorplan with pool, 5 beds, 6.5 baths, office and media/game room. Includes private courtyard and Casita, perfect for in-laws, guests or teen. Popular floorplan exudes luxury, with tile roof, soaring entrance hall and circular wrought-iron staircase. Chef’s kitchen features quartz countertops, gas range with pot filler, double oven, stainless vent hood, wet bar and island, huge walk-in pantry and farmhouse sink. Flexible floorplan includes Media and game room upstairs and conservatory/living room downstairs together with full office with glass doors. Separate Dining Room has doors to private, paved courtyard which leads to Casita. House has been pre-wired and pre-plumbed for speakers, living room fireplace gas hookup, additional washer/dryer in garage, full outdoor kitchen and kitchenette in Casita. Located on a premium lot, pocket sliders lead to the pool area overlooking conservation and woodlands for maximum privacy and views. Saltwater Pool features a sun shelf and includes a self-clean system. Bella Foresta is a natural gas community and home is energy efficient with tankless water heater and water softener. Discover this hidden gem in Central Florida, with easy access to I-4, SunRail, new SR429 extension, SR417, shopping, dining and businesses, A-rated Seminole County schools, soccer fields, trails and all this area has to offer! Home may be under AV surveillance. 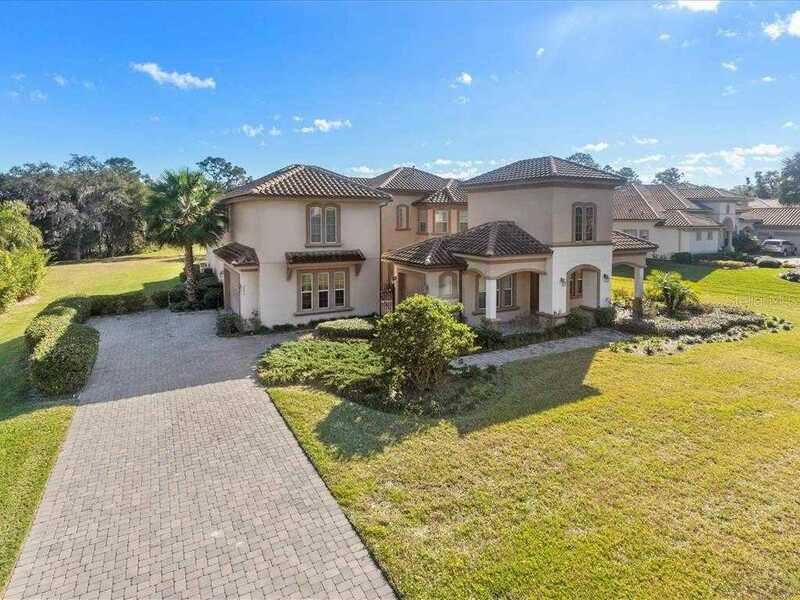 I would like to schedule a private showing for this property: MLS# O5756625 – $1,049,999 – 7396 Bella Foresta Pl, Sanford, FL 32771.